The 2018 robot, "Dwayne the Starman", was built for the 2018 FRC Power Up competition. 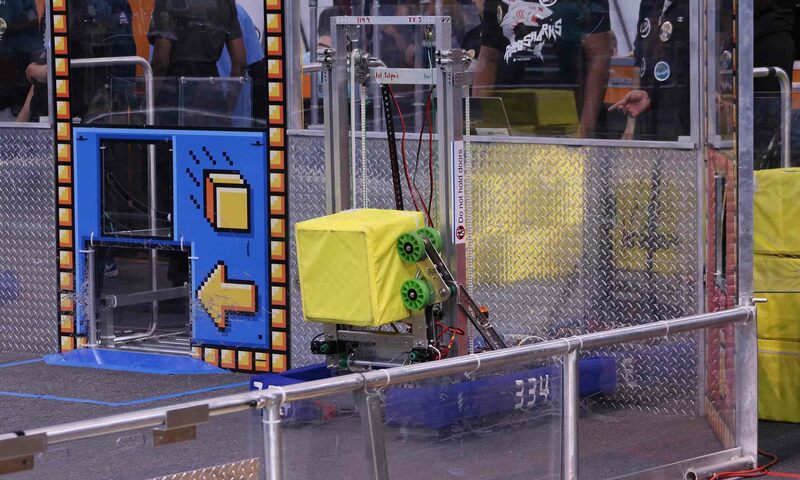 With an active intake and an elevator system, the robot was able to pick up "power cubes" and place them into the exchange zone, portals, switches, and the scale. 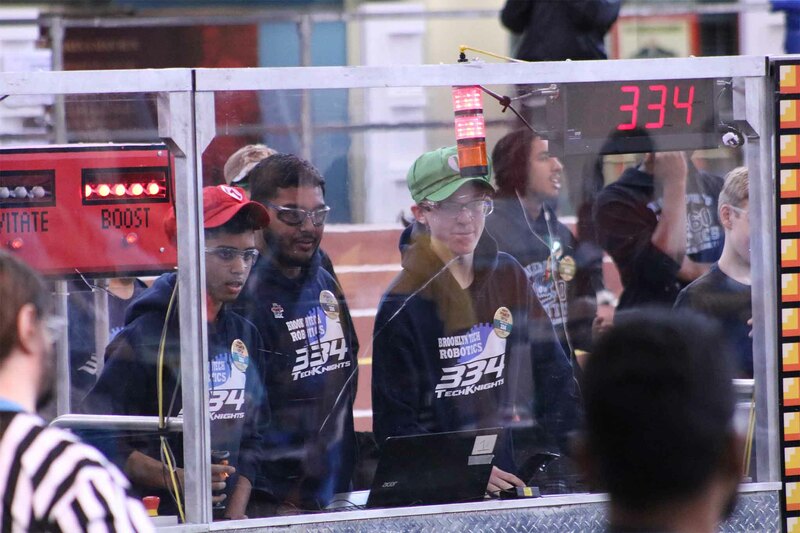 This range of motion, created by the elevator's ability to extend up to 7 feet, allowed the drive team to adapt to varying game strategies.